Hello everyone and welcome to our special Build-A-Flower Release! This month, we have the gorgeous Build-A-Flower: Chrysanthemum! We are excited that every month we will have a special release of a new Build-A-Flower Set so make sure to look out for these beauties for they are sure to make an incredible collection! Each of these special releases will comprise of a 6×8 stamp set and a coordinating die so you can easily create your projects. Therefore, this will only be available as a set and not as individual products. Chrysanthemums are beautiful flowers which symbolize optimism and joy. With an abundance of petals, these perennials resemble pom-poms. 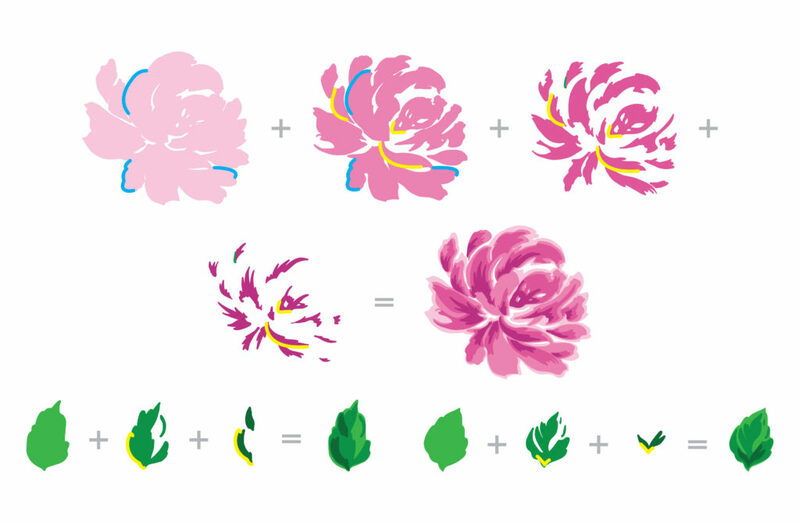 Chrysanthemums bloom in many colors so you can be creative with your ink choices. We have included two encouraging sentiments to help bring joy to your loved ones. So some of our talented design team members have created stunning projects to spark your creativity using the new Build-A-Flower: Chrysanthemum Set. We hope you love what they have come up with. To celebrate this special release, we are giving away a $30 gift certificate to SIX lucky winners! 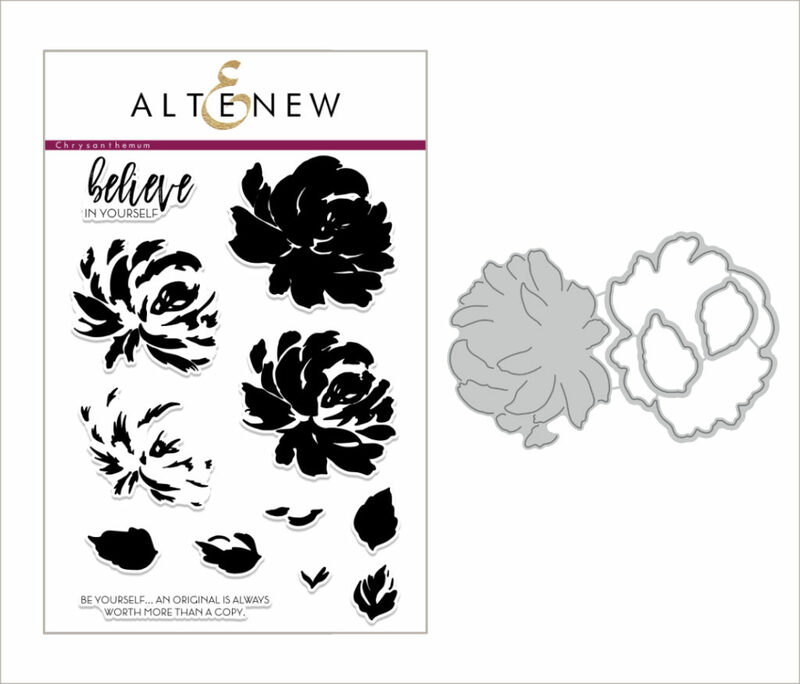 Please leave a comment here on the Altenew Scrapbook Blog for a chance to win. The winners will be announced on Friday, March 9th. Also, for a further chance to win please check out what some of the card design team did with this set on the Altenew Card Blog. So beautiful stamp and die set!!! ? Reiko, your page is so sweet! And Enza you are making me want the new colors! I love this stunning new set with the colors you used. Another gorgeous flower set. Beautiful projects. This is so very beautiful!!! Just missed buying it by 1 day 🙁 thanks for a chance to win ! Love both these ideas! The scrapbook page with yellow flowers and black lines is stunning. Very pretty, I love how bold and striking the flowers are! This new build-a-flower release is cute! I like that you can stamp it in many colors. Beautiful new set! Lovely projects! in that pretty aqua color. Another beautiful BAF set. Awesome DT projects! Next time I’ll wait to place my order… ? Beautiful set with lots of detail. Awesome stamp set! Truly awesome!!! This is another beautiful stamp set. Oh wow! I couldn’t wait to see which flower you would introduce next and I wasn’t disappointed. This is another amazing Build-a-flower set. The inspiration is stunning and I love the way the die cuts the petals so that they can have dimension. Another one for my wish list! Lovely page – love the chrysanthemum set. I love this new set. The projects today are just perfect, and I love the different colors these can be stamped in. Enjoyed Lydia’s live video. Will be ordering this set! Wonderful projects and super products, lovely. The Build a Flower sets are gorgeous! Can’t wait to see what the next few will be! Bring it on!! I love the build a flowers and look forward to them each month. This flower is gorgeous and can’t wait for one to arrive at m y house! Beautiful layout and card to show off the lovely new BAF set! I love chrysanthemums! Love the new Build a Flower Chrysanthemum! The samples created are beautiful! So lovely. Since I can’t comment on Reiko’s blog, I will tell her here: I love this layout. The yellow flowers go perfectly with the bits of yellow in your daughter’s dress and trophy. And, of course, the flower is just lovely. I really like how this one is designed. Thanks for sharing and giving us the opportunity to win! Such a beautiful layout Reiko – the chrysanthemum just shines on the black and white background! Love Enza’s vibrantly-coloured card too! Such a pretty layout! Love it. Beautiful stamp set! The stamp set is absolutely gorgeous. And I love the inspiration projects. They are very beautiful. Love this new set. Don’t mind that it’s only available as a set as I usually buy the coordinating dies for my stamp sets. The die that cuts around some of the petals adds lots of dimension to any project. I couldn’t resist coming over to the “other side” to see how this beautiful chrysanthemum was used on scrapbook pages! I’m so glad I did. I like both Reiko’s and Enza’s creations! Another absolutely breathtaking release! Altenew never ceases to leave me breathless and in awe! Can’t wait to get my order so I can play with this innovative Die! TFS! Love these pretty flowers. So many layers in the set giving beautiful dimension. This is absolutely gorgeous stamp set, I love the gorgeous creations. This Chrysanthemum is another wonderful layered flower stamp set! Your sets are always amazing. I can see it being added to my wish list! Thanks for the wonderful inspiration form the fantastic Design Team! Another beautiful floral set. Love the colours on the DT projects.